Household water well owners should act to address any improperly abandoned wells on their property as they can present threats to both people and animals, according to the National Ground Water Association. “Abandoned wells can be a physical danger to people and animals who may fall into them, but an even greater threat may be the pathway that an abandoned well provides for surface contamination into an aquifer used for drinking water,” said Cliff Treyens, NGWA’s Public Awareness Director. 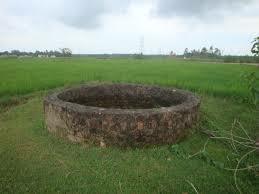 Other clues to abandoned wells or boreholes can come from old maps, property plans, or other documents; neighbors who have been in the area for a long time and additions to homes or property that may have covered up an abandoned well. 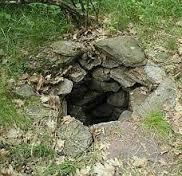 If an abandoned well or borehole is found, the property owner should contact a qualified water well system professional. If the contractor determines the well or hole needs to be plugged, the process may begin by removing all materials such as pump parts, pitless adaptors, pipe, wire, well screens, gravel, and other particulates at the bottom of the well. Once the borehole is properly prepared – including possible disinfection of the well – the contractor can use specialized grout to fill the well from the bottom up to prevent surface water contamination from infiltrating the well. The cost of well plugging or ‘decommissioning’ a well or borehole can vary. In Iowa, for instance, plugging drilled household wells ranges from $600 for shallow, easily accessible wells to more than $3,000 for wells greater than 500 feet in depth. The width of the well may also affect the price. The property owner is generally liable for paying decommissioning costs. Some states have programs that will help pay the cost of water well plugging. 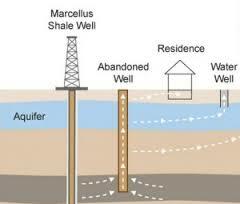 To check on your state, visit the website, then click on Water Well Basics/Well Construction Agencies.